In the “Sagrada Familia” the use of organic forms reflects the forms Gaudì found in nature. He used to say that there is no better structure than the trunk of a tree or a human skeleton. “Els Encants Flea Markets” is one of the oldest markets in Europe,which began in the XIV Century. Now it is a big open air flea market place with a very bizarre mixture of items. 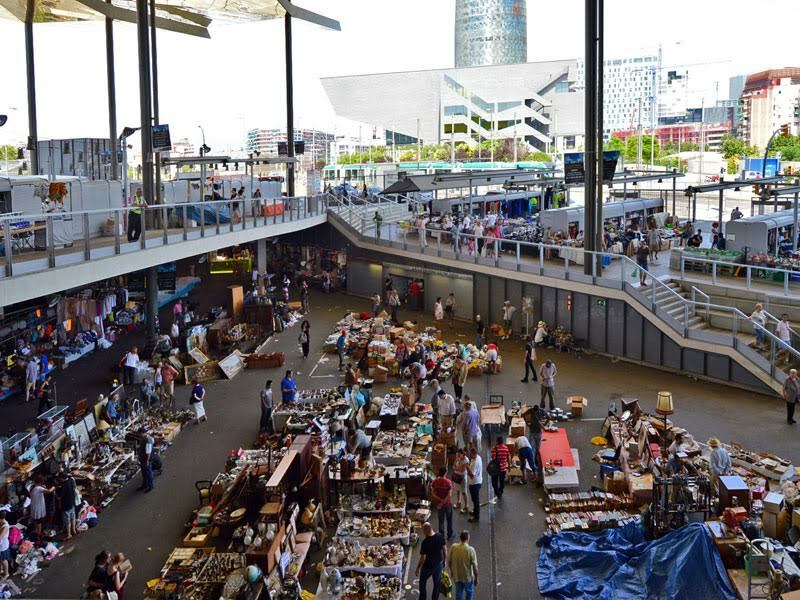 You could find: antiques,DVD’s,bicycles,furniture,clothes,tools,almost everything. Carelessly organised in stalls now covered by a new spectacular reflective zinc roof. 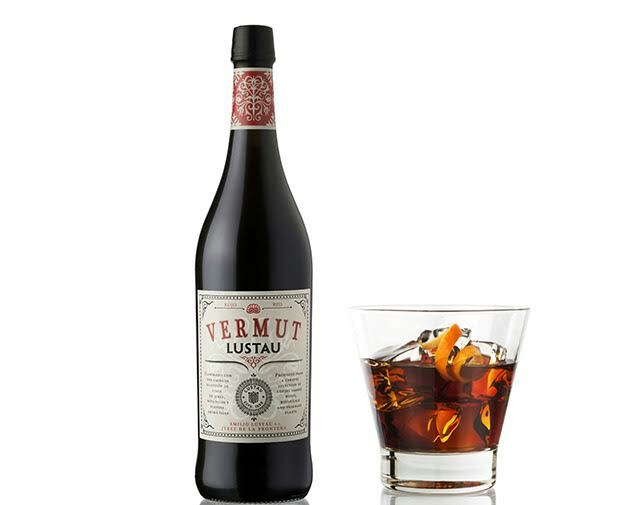 Vermut is an aromatized wine flavoured with different plants. After the wine is aromatized and fortified,the vermut is sweetened. Drinking vermut is a social tradition in Barcelona,shared with the family or friends. It is usually drunk on a Sunday noon as an aperitif before lunch and accompanied by olives,potato chips or almonds. 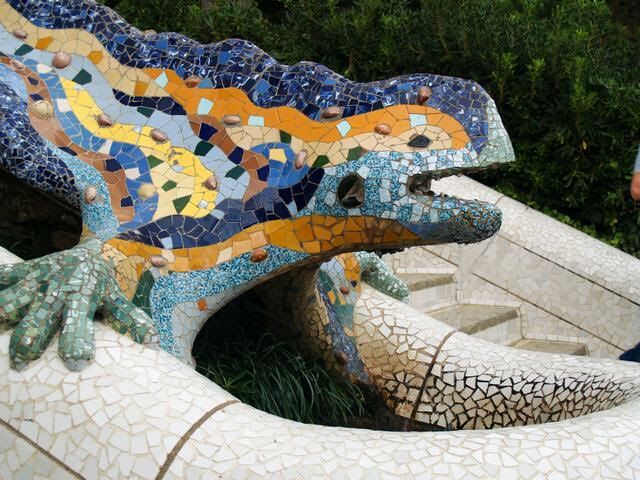 Popularly known as “el drac” actually is a salamander,also present in the coat-of-arms of the city of Nimes,where Gaudì was raised. 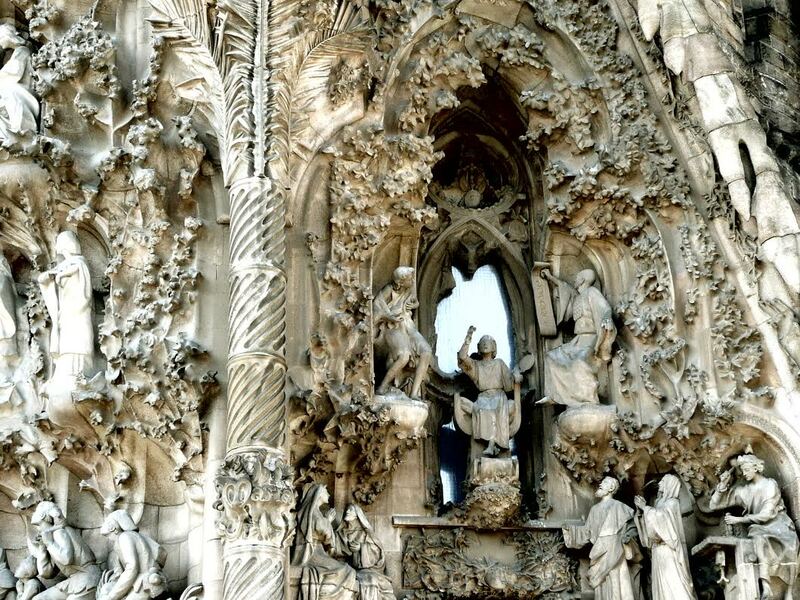 It was restored after a vandalism attack in 2007. 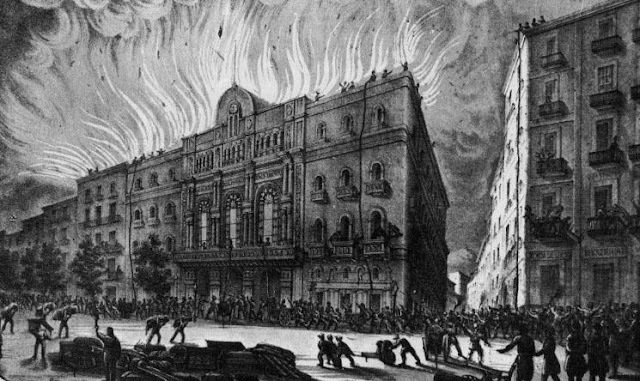 All the important 19th century Opera Houses has been caught by fire at least once. The Liceu Opera has been consumed by fire twice: in 1861 and in 1994. While in the first time it was reconstructed in just one year,in the second time it took 5 years to get it running again. Barcelona is the only city in the world with nine UNESCO Heritage buidings: La Pedrera, Park Guell, Palau de la Mùsica Catalana, Hospital de la Santa Creu i Sant Pau,Sagrada Familia, Casa Battlo, Casa Vicens And the Crypt in Colonia Guell. 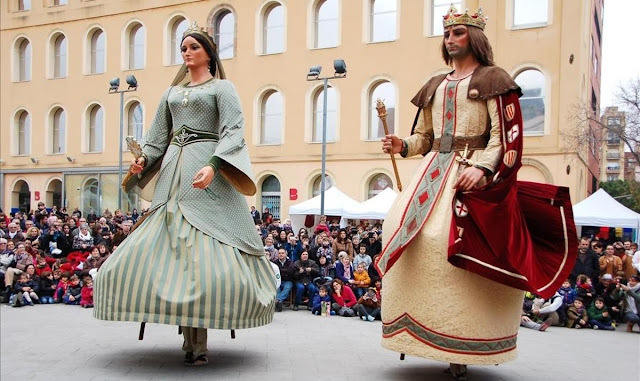 The Gegants are sculptures of people made out of wood,plaster and cardboard of about 3 meters high. Their internal structure allows a person or two to carry them and make them dance. Each neighbourhood ,trade organisations (gremis) and other associations have their own representatives. They usually participate in parades and dance during the main festivities of the city. (Mercé: September 24th; Sta Eulalia: February 12th). La Font Magica of Montjuic was built for the Universal Exhibition of 1929 by Carles Bugas and more than 3,000 workers,a very ambitious project for that time. 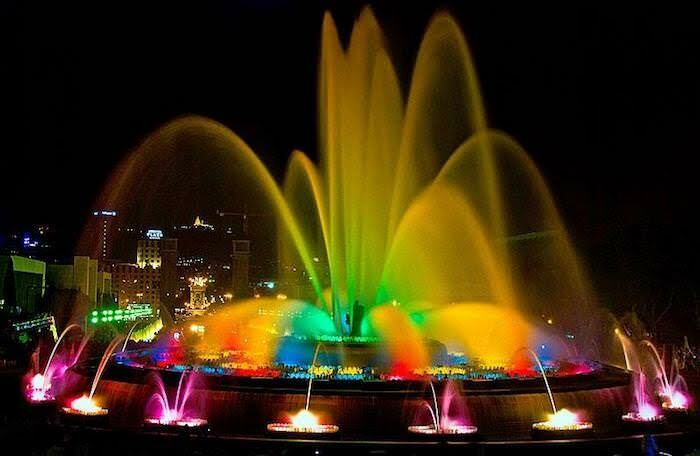 This great fountain splashes 2,600 liters of water per second,creating a spectacular show of colour,light,music and water acrobatics. 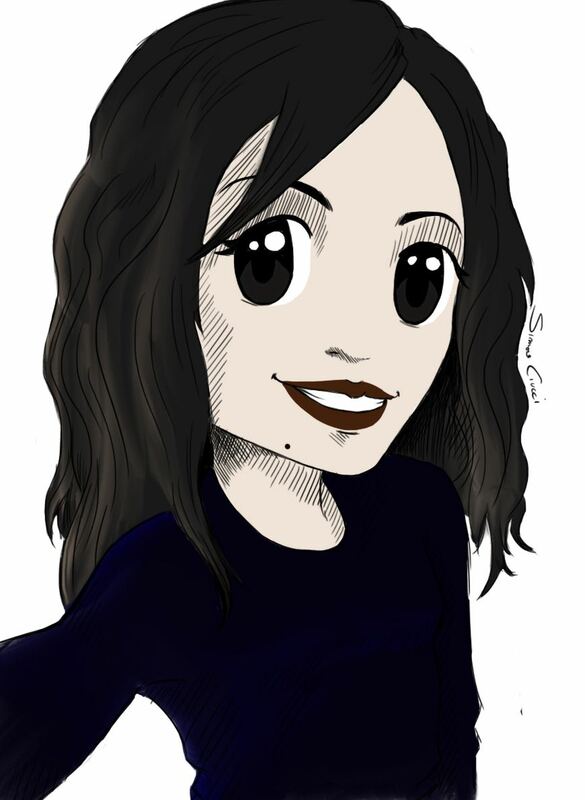 It seems like magic! The “Ciutadella Park” was created for the International Exhibition of 1888. 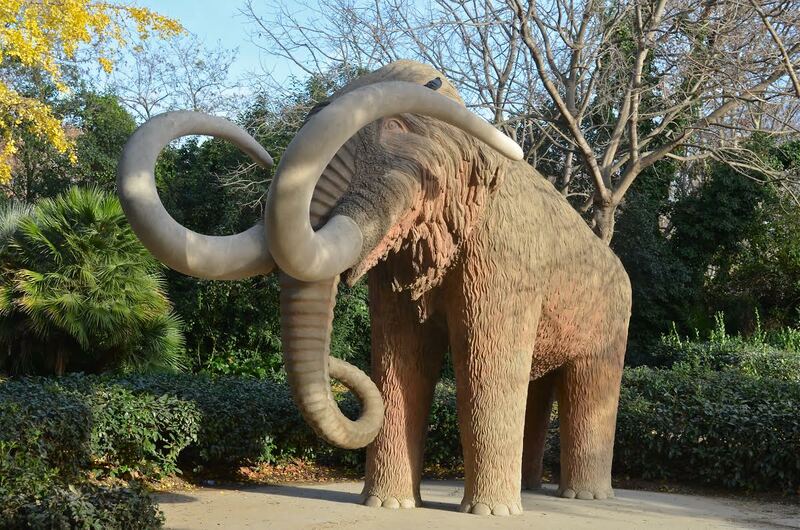 Then the naturalist Norbert Font projected to decorate the park with stone figures of scale animals and dinosaurs that inhabited Catalonia in the past. The first and only animal created was the spectacular Mammouth palced in 1906,Font’s death halted the project forever. The giant chubby cat,made out of bronze,was created by Colombian artist Fernando Botero. After its arrival to Barcelona in 1987,the cat wandered around many locations in the city for 15 years! 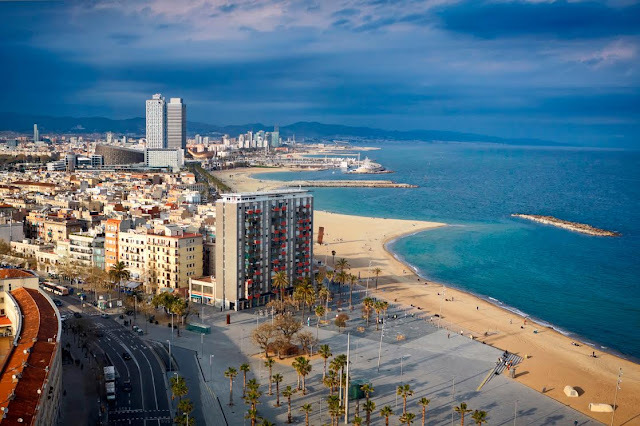 Until 2003, when it found its final settlement at the end of Rambla del Raval,where it seems to be comfortably happy. 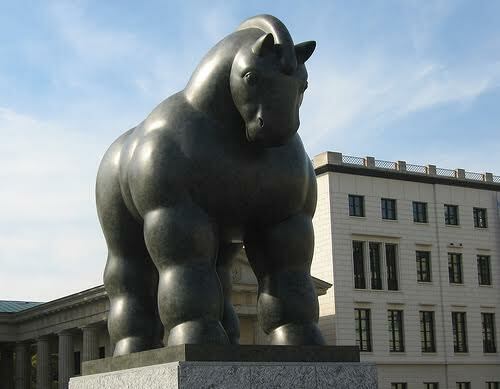 The cat has a fat “cousin”,a horse also created by Botero,which has been standing in Terminal 2 of Barcelona Airport since 1992 and is usually chosen as a meeting point for passengers. 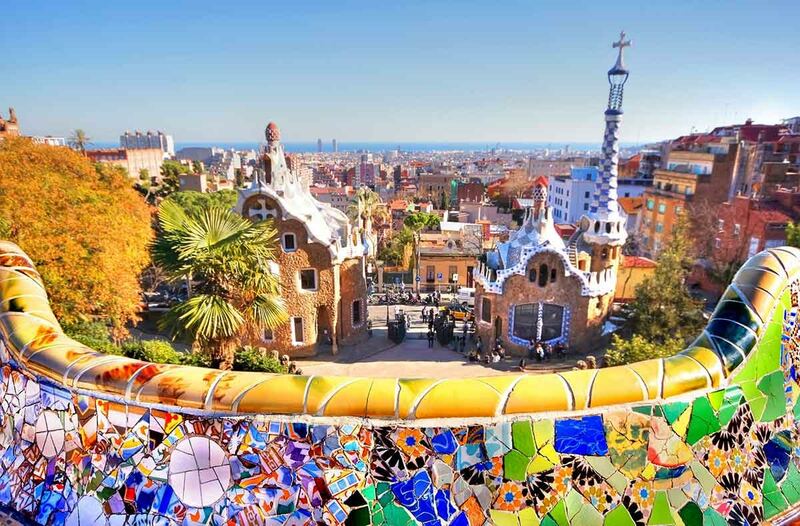 Have you ever been in Barcelona? Do you like this city? What would you like to visit if you were there? Yes, I have and it is one of my favourite cities! Barcelona is my favourite city and I visited the city 6 years ago. Good job!